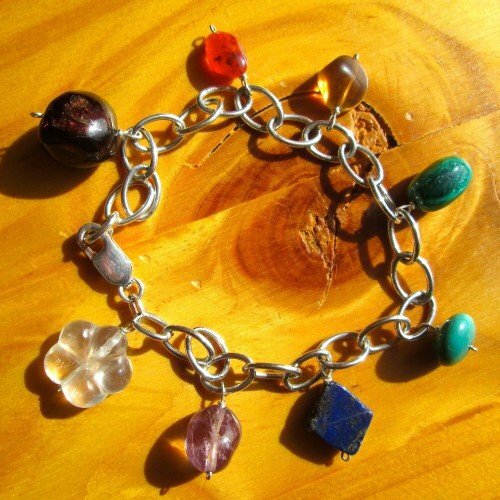 Chakra bracelet chunky crystals silver . 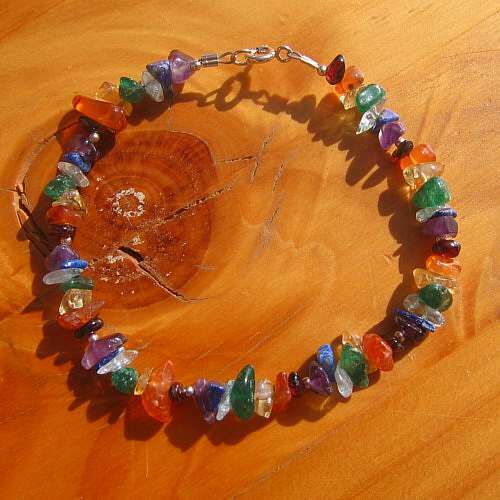 I use all seven natural semi-precious chakra stones and crystals in these bracelets. 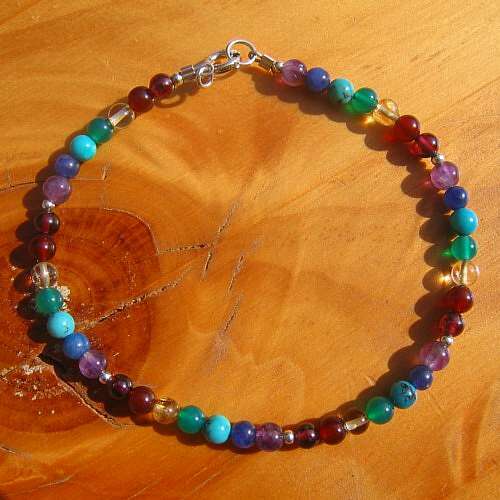 Therefore, by wearing your bracelet, you will be carrying with you all the chakra crystals. Each crystal corresponds with each of the seven main chakras. 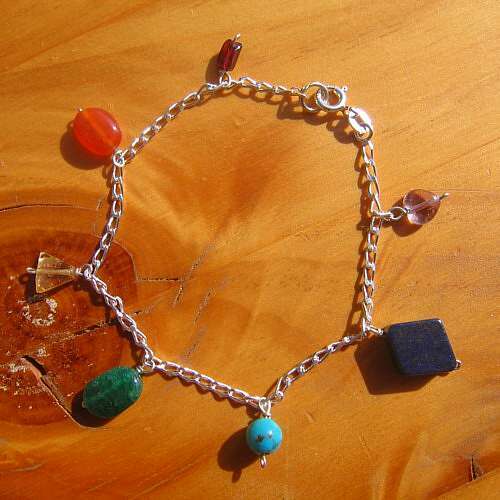 Besides that, as each crystal varies in shape, size and colour, therefore, each bracelet is unique. 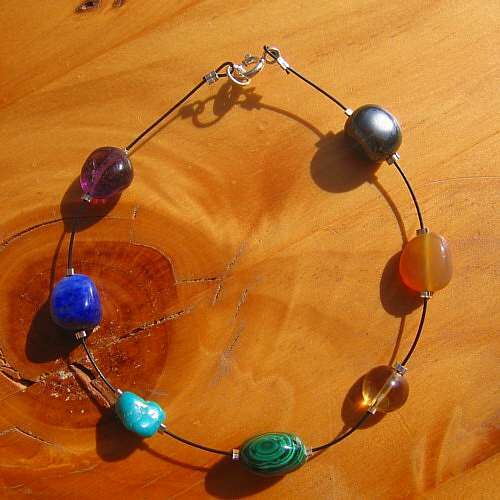 Your bracelet has amethyst, lapis lazuli, turquoise, malachite, citrine, carnelian and hematite. A tiny silver crimp sets each stone in to place. For that reason your “chakra bracelet chunky crystals silver” has a bold, natural look with a little bit of sparkle. Furthermore, you have a small sterling silver clasp to close. Made with black plastic coated, flexible wire. Two lengths available : approx. 7.5″/19 cm and 8.5″/21 cm.